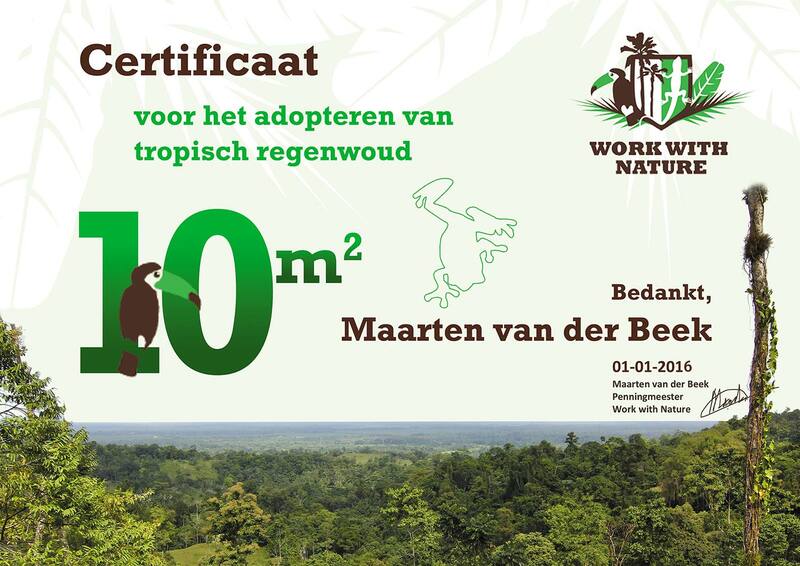 With each donation of € 2,50, we can purchase 1 m2 of Costa Rican rainforest and guarantee many years of protection. How nice that you are willing to adopt a piece of rainforest and give it as a present! Underneath you can choose the amount of square meters which you will give as a present and how you want to offer it. Within a week we will send the lucky one an electronic certificate as a toke of our appreciation. Yes, I would like to adopt rainforest! Please complete the information of the gift recipient so that we can send the digital certificate. If you want, you can add a personal message. This message will be included in our e-mail. Want to give the gift yourself? Then fill in your email address.